I am so ready for spring. Even more than past years, I feel as though I’ve spent all of February trapped inside breathing the same stale air and dreaming of warm weather. Usually winter doesn’t stop us from getting outdoors — hiking in state parks, sledding, skating, etc, but this winter brought such frigid temperatures that even our regular outings seemed daunting. There are only so many layers you can put on a baby. The unusually cold days and heavy snow means our spring activities will be delayed (no maple syrup tapping for a few more weeks *sigh*). Yet I am still excited for any sign of spring. This morning as I left the house I was thrilled to see my flooded driveway because, even though the inch of standing water is not ideal, I’m just glad it’s no longer an inch of solid ice. I guess that’s what it means to be in a position of gratitude. We have are given an option: we can be mad because the puddle gave us wet feet and the newly-revealed potholes made for an annoying commute, or we can be thankful for above freezing temperatures and melting snow. It’s not always easy, but I know which option I want to choose. Kiddos can be a good reminder of this. For Juniper, the sound of water dripping down the drainpipe was enough to elicit raised eyebrows and an excited gasp of air. I can only imagine how thrilled she’ll be to see birds return to the yard, buds form on the trees, and snow melt down to a level that she can actually walk on top of it (we’re not there yet!) She will remind me what is amazing, and she will remind me to be grateful for all of it. So as we splash our way through the rest of this wet, dreary March, I’m going to appreciate my flooded backyard (warmer temperatures), the baby who stays up too late (longer days), and all the yard work yet to come (things are growing). Because life is just better when we live in gratitude. 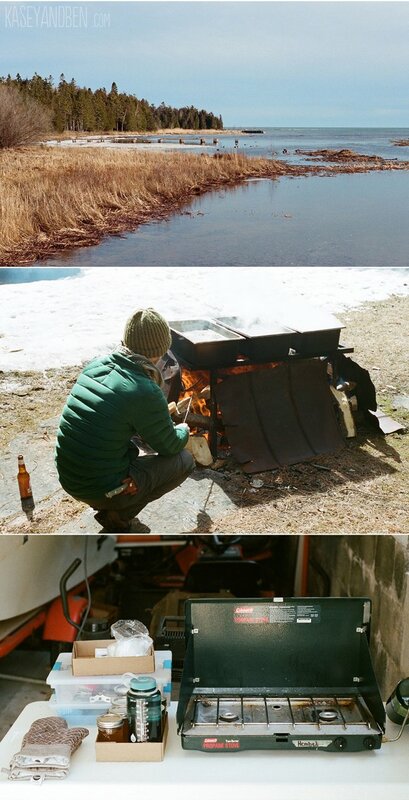 More like this: A Midwesterner’s Spring, Making Maple Syrup, or The Gift of Curiosity. 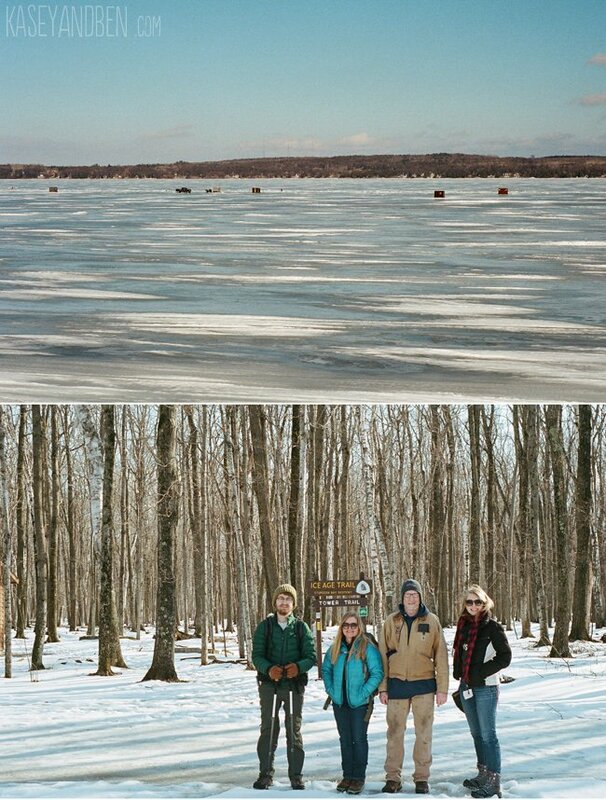 Film scans above ^ from winter and spring activities in February and March 2017 in Door County, Wisconsin. This wasn’t Juniper’s first Christmas, but it kind of felt like it to us. Last year we were still in the crazy first few months of life with a baby — living on no sleep, recovering from labor, and just keeping our heads above water in the chaos. This year Juniper was able to participate in many of our holiday activities (or at least stay awake for them). We have a very tradition-oriented family and so there are many things we do together to celebrate the seasons. 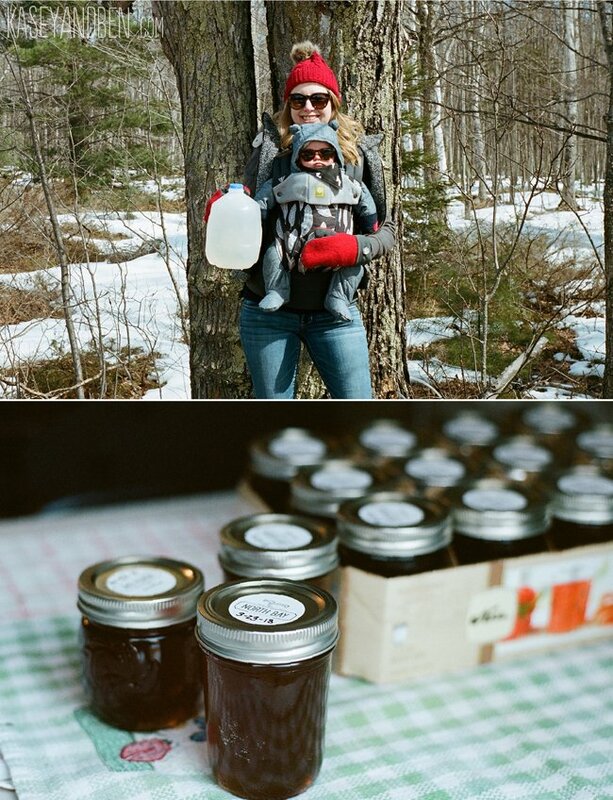 Sometimes the “season” can be as simple as “that cold boring time” (aka: February — Potawatomi State Park hike) or “that time it’s supposed to be spring, but really isn’t” (aka: March — maple syrup tapping), but when it comes to holidays, it’s even more serious. In December there is St. Nick stocking opening, picking out our trees together, a Christmas day hike in the woods, and watching It’s a Wonderful Life in our pajamas with grasshoppers or hot cocoa in hand. But most important is Christmas Eve, with church followed by dinner and gifts at our grandparents’ house. This is where I’ve always found my Christmas spirit. Every 24th of December my family attends the candlelight service at Sturgeon Bay Moravian. The tree at the front of the church is covered in hundreds of paper stars and we hold lighted beeswax candles, singing carols and waiting for the last verse of Joy to the World where we all raise our arms up high before extinguishing the flames. As a kid, I remember being sad the moment we had to blow the candles out, holding it just a little longer hoping to preserve that feeling of incredible joy and togetherness. One of the gifts of parenthood is getting to share these traditions with our children — getting to see Juniper mesmerized by the dark church filled with glowing lights, watching her try her first bites of my mom’s homemade pie, and hearing her elated giggles over her favorite toy (the step-stool intended for my office). As a parent everything is more work, the holidays included. There is more stuff to carry and less arms to carry it with. There are nap schedules and picky eaters to consider, and gone are the uninterrupted board game marathons and quiet evenings under the tree. Instead we look up from our movie to debate whose turn it is to intercept Juniper as she climbs from floor to chair to table to access the bowl of Chex-mix. Everything is more work… but it’s worth it. And I don’t say this as a martyr like “it’s worth it so they can enjoy the holidays” or in an attempt at banking future happiness like “it’s worth it because once we make it through this we can enjoy our family as they grow older”. I mean it’s worth it right now. If sharing traditions is the gift of parenthood, the power of parenthood is in a crazy form of selective memory. The day might filled with chaos as we discover which toys are small enough to fit in Juniper’s mouth, wrestle and bribe our way through diaper changes, and try to convince her to nap in unfamiliar homes while there is clearly a party happening next door; but when the day is done the only part that remains in our memory is the good stuff. This past summer when Juniper was cutting her first tooth she had a particularly hard night. She was crabby, awake on and off for hours, and then she was up for the day at 5:00 am. I was exhausted and counting the minutes until 8:00 when I could drop her at the sitter. And the moment I pulled out of the driveway, leaving Juniper behind, I missed her. She kept me up all night, woke me up at 5:00, and I missed her immediately. This is the whole thing in a nutshell. Love makes good stuff more powerful than the hard stuff, even when it’s mostly hard stuff. And parenthood is a crazy sort of love. So I’ll take the chaos that would normally unnerve me completely; we’ll stress-sweat through our dress clothes and say “no thank you; hand’s aren’t for hitting” for the thousandth time, and we’ll breathe a sigh of relief as we tuck her into bed. But I guarantee you as I lay down to sleep at night, Ben and I will reminisce about the best parts of the day and I’ll be flipping through pictures and videos on my phone, already missing that little girl asleep one room over. 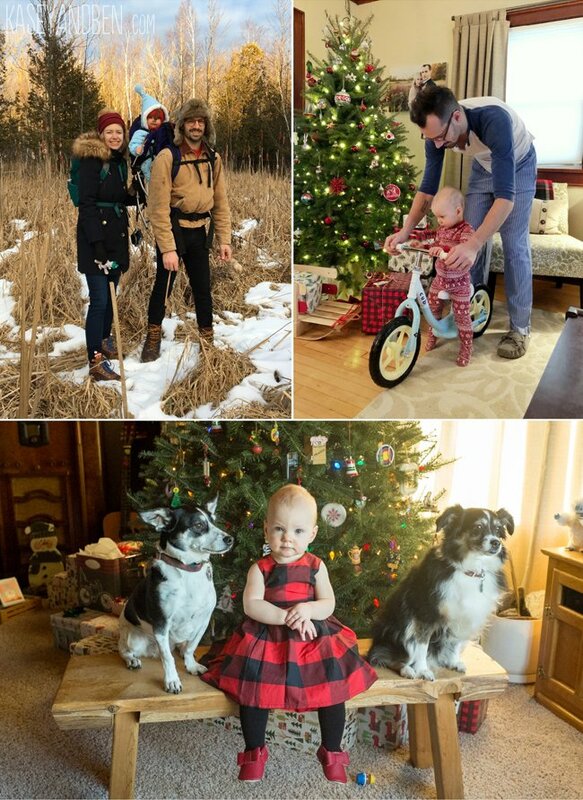 Pictures above from some of our 2018 Christmas traditions. And just like that, a year has come and gone. One year ago we were in the hospital meeting our baby girl for the first time, trying to settle on a name and realizing, awestruck, that life would never be the same. This year, I am watching Juniper run from room to room with an excited gallop-skip, shrieking just because she likes to hear the sound of her own voice. Time is a crazy thing. 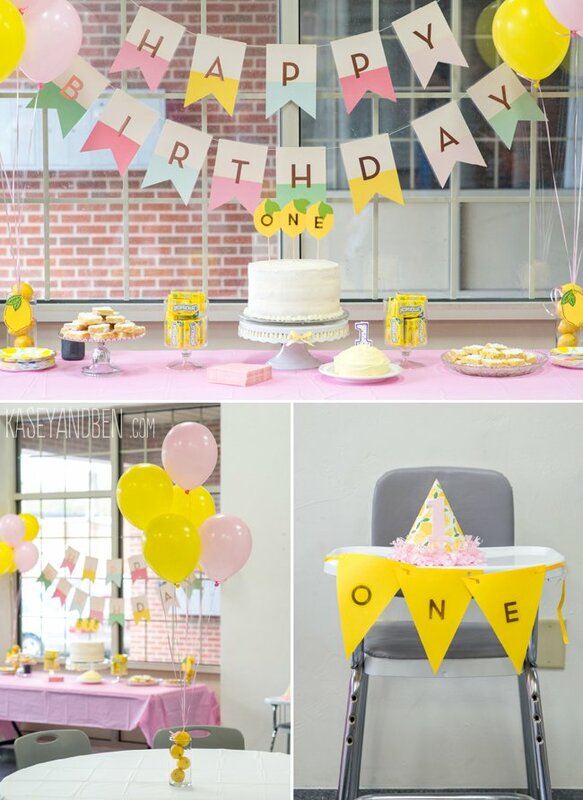 A few weeks ago we gathered together with family for a first birthday party at The Art Garage in downtown Green Bay. Juniper was in a wool pleated 1960s-ish dress we found at Little Bird and the theme was lemons with lots of bright yellows and soft pinks. We had lunch with a lemonade bar, and a little photobooth area for guests to take snapshots with our Fuji Instax. Juniper liked eating watermelon and playing on the floor with her friends. She was very excited to see people she knows and likes everywhere she went as she cruised the room. Grandma Jeanie made a three-layer lemon and raspberry cake for guests, and I made Juniper a simple white smash cake. She tasted the frosting and little bits of cake, but wasn’t wildly excited about it until daddy started helping her smash it. It was a fun way to celebrate her first big milestone. Happy Birhtday, Baby J! Fingers crossed and saying my prayers for safe transit, I packed up the film I shot all summer long and shipped it out to be developed. When the package arrived, Ben and I sat in bed together and flipped through the prints, my heart exploding with every photo. This summer wasn’t just any summer, it was Juniper’s first summer, something I anticipated since that second pink line appeared 18+ months ago. Part of the joy of parenthood is sharing the things you love with this new little person. It may be your 200th visit to the beach, but it’s the first time she’s felt sand in her toes, and it may be your annual camping trip at the usual spot, but it’s the first time she has woken up to the sunny pattern leaves make on the tent walls in the morning. This summer was full of “Juniper’s firsts”, and part of that was sharing places with her that meant a lot to us growing up. We visited The Farm where she held a kitten and giggled when she touched a baby goat. We went camping at Peninsula State Park where she rode in a canoe and took naps in a cargo wagon. She ate fruit straight from the orchard, visited beaches, parks, and pools, and soaked up the summer sun right in our own backyard. Every outing required more planning and packing than any previous summer (babies come with SO much stuff), but as anyone who has ever loved anyone knows, the joy of wonderful things is multiplied when you see someone you love experience that joy. And we are closing out the summer with a heart full of memories and a head full of stories to tell as she grows up. It’s amazing how children can change how we experience our world. Everything is new again — just like magic. Photos above from 35 mm film scans July-September. Blog title taken from song “People Take Pictures of Each Other” by The Kinks. If you like this blog, check out The Family of Over-Celebrators and Summertime on Film. New parenthood is chaotic. Between diapers, feedings, and that classic baby-vs-sleep showdown, it can be a lot. And that’s without considering our own basic needs. It’s a turbulent world and sometimes it just feels like a mess. For me, new motherhood meant the grace of letting go. My make-up routine is down to the basics and usually done while eating breakfast, pumping, and chatting with a babbling Juniper bouncing in her jumperoo. My hair is 50% dry shampoo at this point and my house is pretty much a hilly landscape of clean laundry surrounded by rarely swept floors. This is motherhood. We are trying to keep up, we are getting by, and all the while our babies are growing up. From this perspective, nine months in, I have to say there is beauty in the mess. Yes, there is struggle, there is worry, and sometimes we may even think we’ve hit our breaking point. But then we push past and realize we are stronger and more capable than we thought we were. And even in the hardest times, we can find beauty. It’s in the first smile of recognition after weeks of lost sleep. It’s in a quiet day when we can sit in the sunshine and enjoy the outdoors together. It’s in sharing something we love with them only to watch them love it too and make it all the more meaningful. It’s magic and beauty, amid the mess. Time has gone quickly, and I find myself flipping through pictures and thinking about each stage of Juniper’s babyhood. What I’ve come to notice is that the way things looked is often not the way things felt. Like anyone, my first weeks were a jumble of recovery, hormones, and learning what my baby needed, but the overwhelming feelings were tenderness, awe, and love beyond love. When I look back, I want our pictures to show me what those early days felt rather than how they looked. The pictures from our first week should smell like Burts Bees and fresh laundry just like my little girl. They should feel like her fuzzy baby hair and the cool breezes of autumn, and sound like the noises she made while she nursed. Our experiences of motherhood are what matter most – that’s the reason we take the picture. My messy house, ill-fitting postpartum clothes, and unwashed hair did not speak to those feelings; instead, my experience felt more like bright natural light, a hot shower, a fresh onesie, and a tidy nursery. So we paused and we made those images. As Juniper grows, the struggles are different. Just like every working mom, I’m chasing the unicorn of work-life-balance, trying to keep up and still make memories of our first summer as a family. But the lesson is the same. My photos won’t show my messy desk stacked with to-do lists and half-full water glasses, or the towers of laundry… and that’s not being fake, that’s knowing what’s worth remembering. 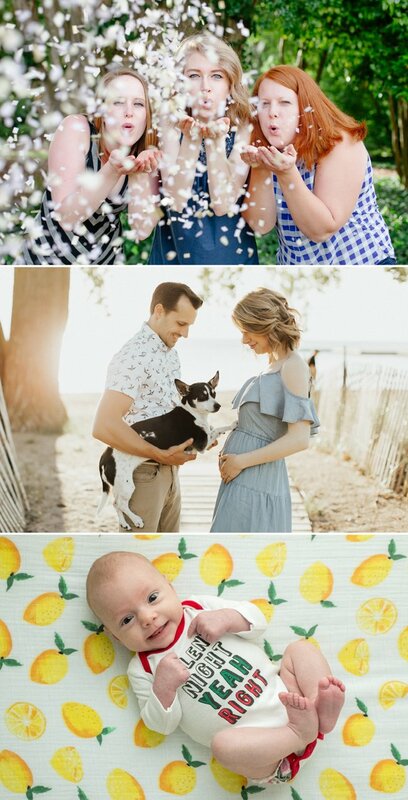 At nine months these days smell like banana pancakes, feel like wiggling baby toes, and sound like shrieking giggles as Ben chases Juniper up the stairs, and I can only hope that the images we’re making right now will feel exactly like that. Photos above from Juniper’s first two weeks. Since it’s off season for us, I have yet to really try my hand at the artful act of balancing life and work. It’s an intimidating task and one with few examples to follow as my job doesn’t give me a 9-5 schedule or any difference in work and living space. This is both a blessing and a curse as it means I can work in my robe and pajamas (please don’t come knocking on my door unexpectedly), but I have to use my judgement to know when to call it quits, shutdown the computer, and turn off email notifications. On the slow days I’ve been thinking about the kind of parent I will be. And although it’s likely I have little choice in the matter, I can’t help but consider what I want Juniper to receive from me beyond a warm house and a full belly. And it comes down to one thing: curiosity. The gift I most want to give to her is the ability to look at the world with an open heart and curious mind — exploring, daydreaming, wondering. Curiosity means probing into the things we take for granted and asking questions. It means walking off the path, getting dirty, and breaking rules. Juniper comes from a long line of well-intentioned rule-breakers who are curious to their core. Curiosity leads to passion, and when people we care for love something with great passion, we learn to appreciate what they love because their loving it makes it special. There are a million things I want to share with our baby girl: hundreds of books I want to read, scores of cities I want to bring her to, and many acres of land I want us to explore. But whatever her interests, whether they overlap with mine or not, I hope to pass along this great gift. That way she can love whatever she wants to love and chase whatever she wants to chase, and curiosity will call her to dig deeper every time. 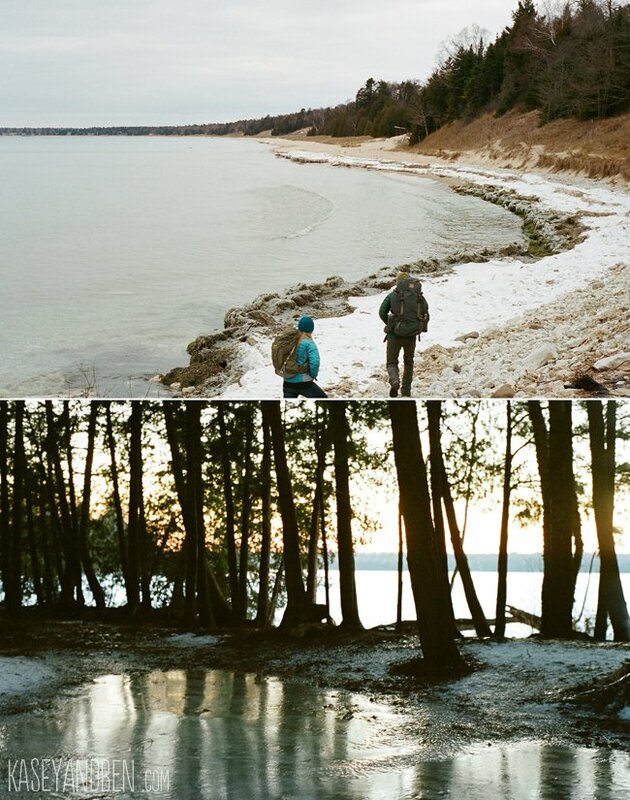 Film Scans above from hikes in February 2017 at Cave Point, Newport State Park, Potawatomi State Park, and Whitefish Dunes in Door County. In my twenties I spent every new year setting elaborate resolutions. There were categories for the resolutions (adventures, skills, business achievements, etc) and every goal had to be set in measurable terms. I would write them down and exchange them with friends so we could keep each other accountable. [Type A? Who, me?] Every year was going to be my year. I was going to “hustle”, and “crush it”, and through the magic of goal-setting I was going to miraculously transform into my best self, finally reaching my greatest potential. Every year. Then came 2016, and it was hard. There were many small challenges, but mostly, I spent the year coping with the miscarriage we experienced in spring. I was devastated. Never had I invested so much hope, and experienced such great loss. It was 12 months of just trying to keep my head above water. So when 2016 ended and it was time to write my 2017 resolutions, I came up dry. I didn’t want to jot down how many books I was going to read, or elaborate on a skill I was going to learn. I didn’t want to set arduous business goals or demand some new level of personal growth. I couldn’t get myself to write a single resolution because I spent 2016 learning how little control I have over the most important things. I think sometimes we set resolutions – new year’s, or otherwise – believing we can bend the universe to our silly, human will. And as an introvert, I get it. There is nothing I want more than a great plan which falls into place as designed. But while we’re busy trying to figure out how to do more and be better, we ignore the grace that comes with understanding we can only work for so much. It’s goal-setting season again, and although I’m not casting resolutions aside as humanistic hogwash, I am examining my ambitions more carefully. There will be plenty of good and plenty of bad in my life, and I feel certain that the biggest of each will not be mine to choose. So cheers to the year that brought us our beautiful baby girl, a blessing beyond measure. We are one year wiser, two months sleepier, and incredibly grateful for both goals to achieve and gifts that were never made to be earned. Top photo by Riverland Studios. Middle photo by KL Creative. On October 18th we welcomed our baby girl, Juniper Violet, into the world. Over the past month we have been getting to know her – what she needs and how she expresses it – as well as what it means for us to be parents. It is such a miraculous thing to give birth; one day it was just the two of us and the next, we were responsible for this new life. 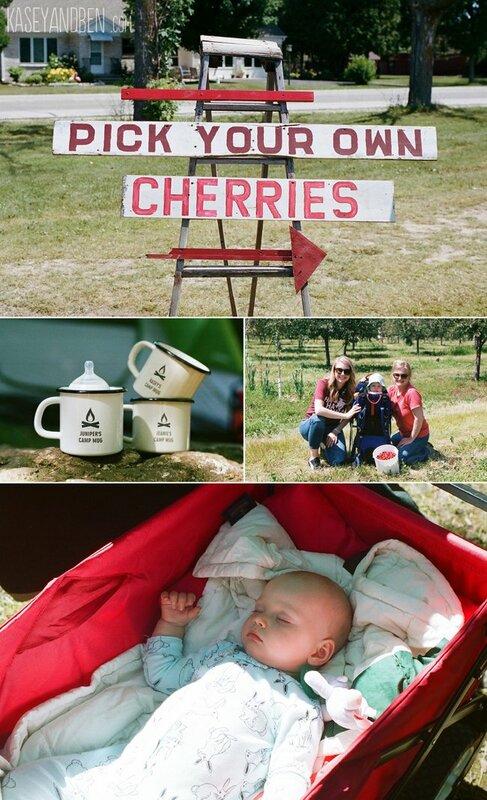 I was blessed with an easy pregnancy (if we can forget about that morning sickness part) so my weeks were still filled with camping, canoeing, travel, etc just at a slightly more cautious level than before. We photographed our last wedding only a week before she arrived (with backup plans in place of course). I loved that I had a partner with whom I could share my experiences, especially as I got further along and she would respond to touches, sounds, and food. Still, little swishes of movement across my belly and a baby out in the world – squirming, crying, and learning to eat – are two very different things. I remember lying in the hospital bed the night she was born, looking at her as she slept between us in the little plastic bassinet, thinking how is this possible? One month later, the feeling of awe still comes over me in waves. There are good portions of my day where I am too busy to dwell on it – one feeding will stretch into the next (punctuated by diaper changes) and suddenly it’s the middle of the afternoon and I still haven’t showered. And in quiet moments, when I’m deep in work or writing (or Stranger Things, let’s be real), and it’s easy to forget that she is two feet away snoozing in her rocker, I’m too preoccupied to dwell on it. It’s as I unwrap her swaddle blankets at 3:00 am that it will hit me. She will let out little squawks, arch her back, stretch her arms, and open her eyes, and I will think, wow, this is my baby. There are so many worthwhile experiences in life, and rather than feeling that parenthood has trumped them all, I just feel like it has made each of them more valuable. 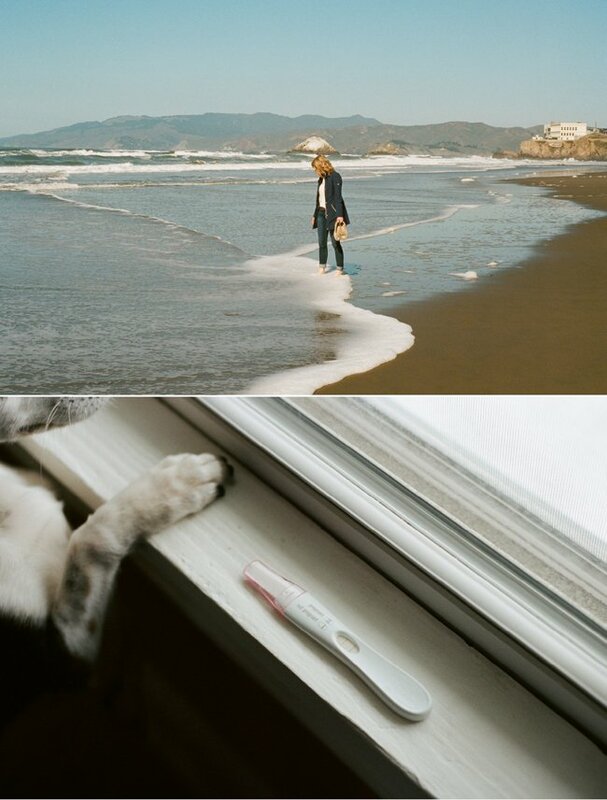 I am looking forward to sharing so many things with Juniper – imparting a love of art, music, travel, and the outdoors, as well as watching her discover things to love all her own. But for now, we’re immersing ourselves in this newborn stage and learning to be flexible beyond our expectations so we can appreciate it, mess and all.